Needlework Art is a specialized and rarely known art. 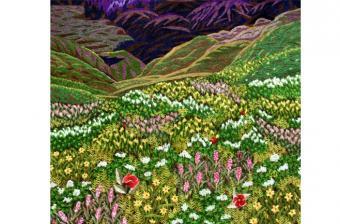 Paintings are made with fine needle and colourful threads on cloth stitch by stitch. It is all handwork with specialized skill. 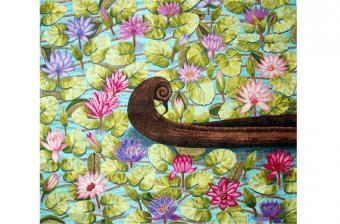 The time duration for making such painting (15”x 15”) is usually five to six months. For its completion daily four to five hours concentrated work is required. 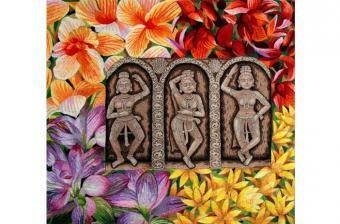 No use of traditional embroidery stitches is made while making these paintings. These types of paintings could be seen in many museums. Paintings having some what similarity with these paintings can be seen in many parts of India, Eastern countries, and Europe. However attempt has been made to create entirely different art works that too in a different way. For this purpose studying the surrounding nature, three dimensional effects and liveliness has been tried to get reflected in the artworks. It requires great tenacity and patience and vision to details to create these artworks. Tremendous efforts are required to make these beautiful artworks achieving it through stitch by stitch.